Thanks to Headkaze and him very kindly giving me the particular code from CPWizard. GameEx is now the only multi system front end to have command.dat support. It is set to work out of the box. In addition this is a slightly optimized version utilising less system and video memory. Several fixes are also included. For the setup package the mounting and karaoke support files are now separate downloads to reduce the size of the install. The system previews have been extended to use images if no videos are available. 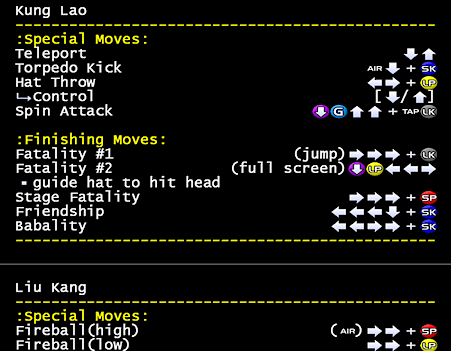 For those that don't know what Command.dat is, basically it's a data file which shows you controls and special moves for games like Street Fighter and Mortal Kombat. So should be really nice for fans of the fighting games.